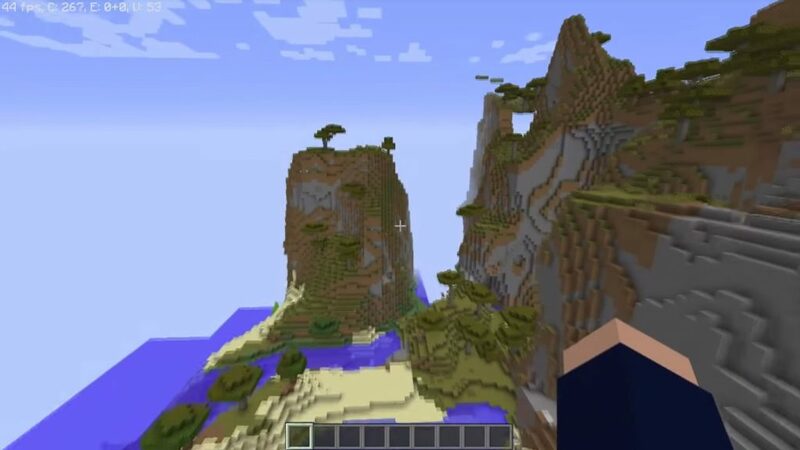 In Extreme Mountain Islands Seed – In the spawn, turn right and you will see a huge open ocean in front of you. Swim or fly across the ocean and you’ll soon see the extreme mountain island on your left. In general, there are two islands. One of the islands consists only of stones, and the second has on its platform more land and grass. 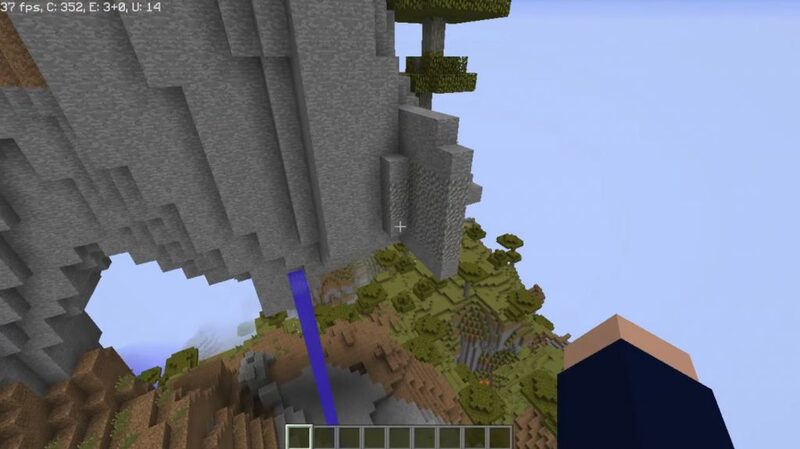 If you go through a waterfall, as shown in the image below, you will enter the cave, which leads quite still deeply down into the ground. 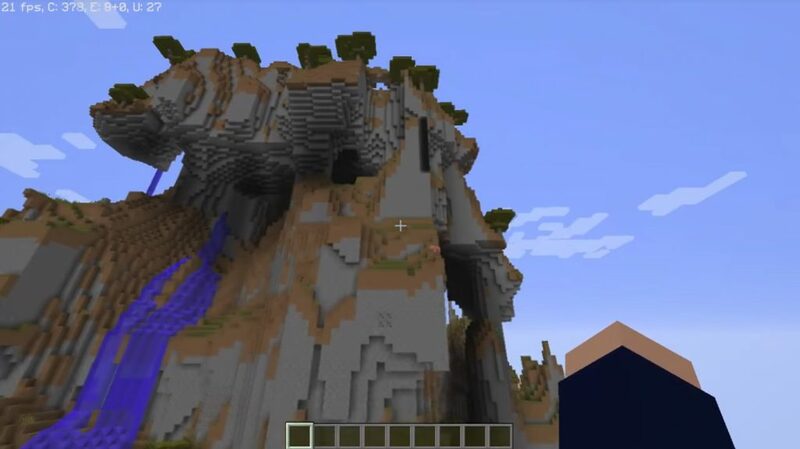 I like this Extreme Mountain Islands Seed for MCPE!